Merry Christmas! 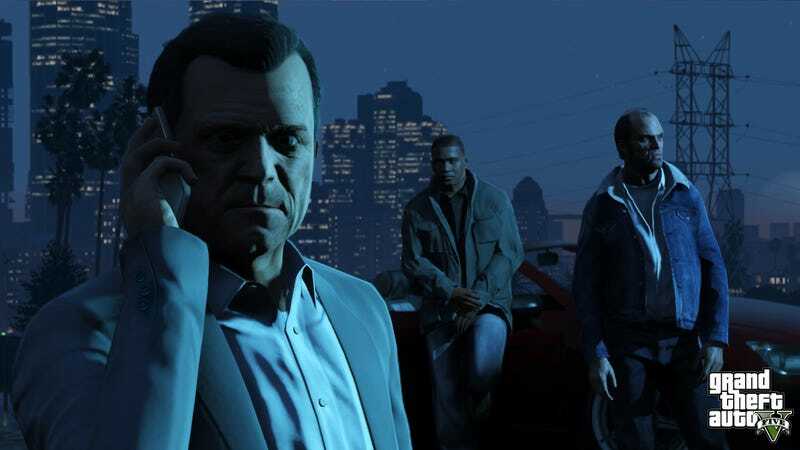 Here are Five New Screens of Grand Theft Auto V.
Rockstar Games' next giant crime caper is going to be massively huge, big enough to warrant lots of air travel. This we know. But it looks like players will be getting up to no good in the oceans, too. The bathysphere, scuba gear and colossal frikkin' shark in these new screens hint that you're also going to diving into some deep underwater hijinks, too. And, hey, dog is your co-pilot, too! How cool does that Rottweiler look in that ride? Cooler than that Fable 2 mutt, that's for sure.